In this blog post I am going to show you how to setup a small external monitor for your rig setup. If you just want to know where to buy the parts you can scroll all the way down to view all the links to all the parts. Especially with a recoil rig setup, where the camera sits on your shoulder and unable to see the monitor on the back of the camera. 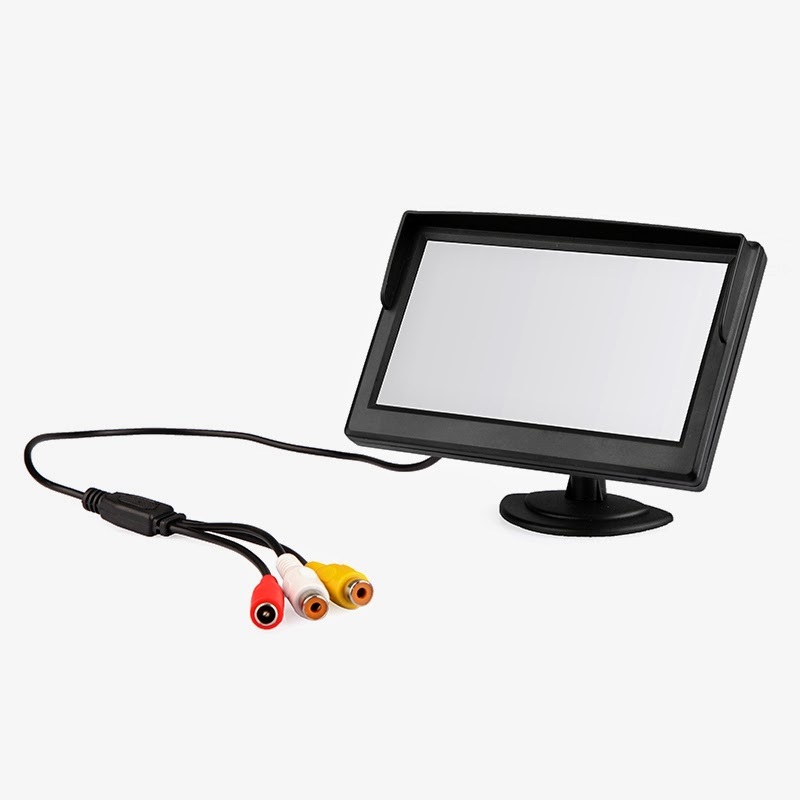 You would need an extra monitor or EVF to make the setup work, however the problem with many of the professional monitors and EVF are quite expensive and would need to pay at least $200 to buy one. However In this post I am showing you how to get one for much less. 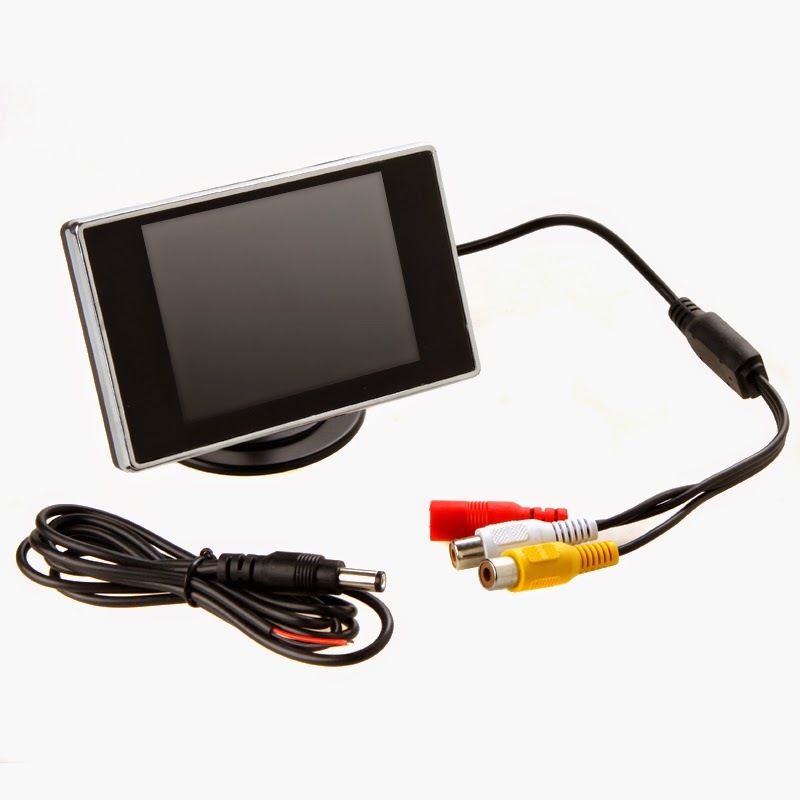 As the monitor alone cost only $16 and for most basic setup you won't even have to spend more than $50. 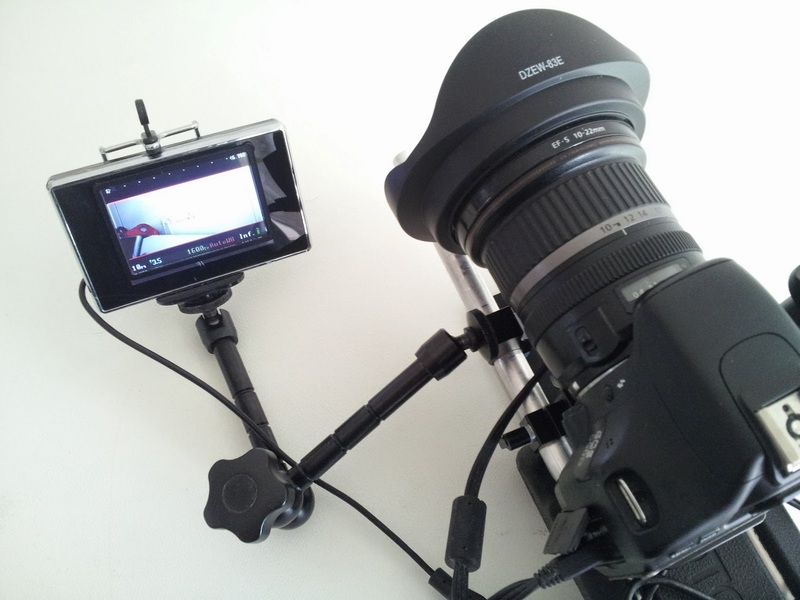 However one of the main thing to know, even though this is a cheaper setup it does not give you the same HD quality screen as the expensive ones, but its still quite usable in enabling you to see what you are filming and check the framing of your shots. The image above is the current setup that I have, viewing through the loupe of the LCDVF and able to see the 3.5" monitor.You can clearly define what is being shot, however the resolution isn't that high that you could easily see where the focus is. 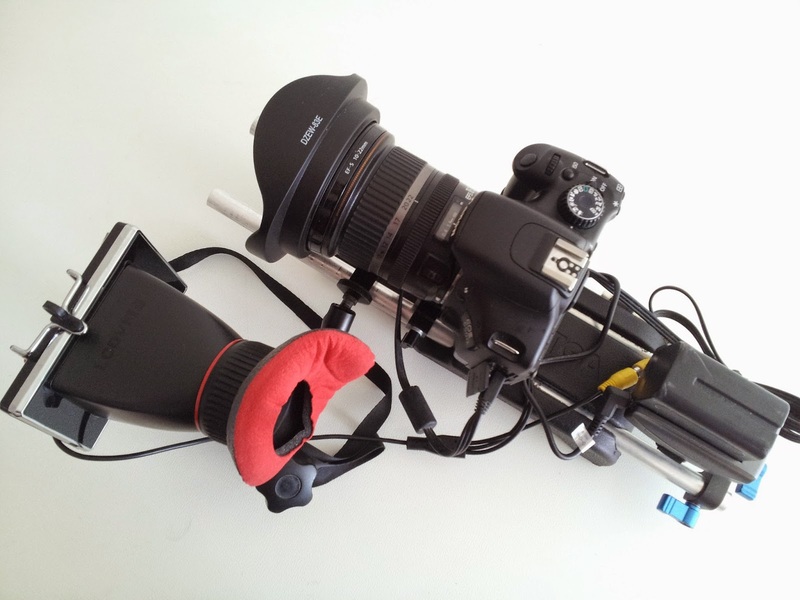 But there are solutions build into the DSLR to help with focussing like the live view zoom to check the focus better. Or if you have Magic Lantern installed you could use focus peaking to help with the focus. 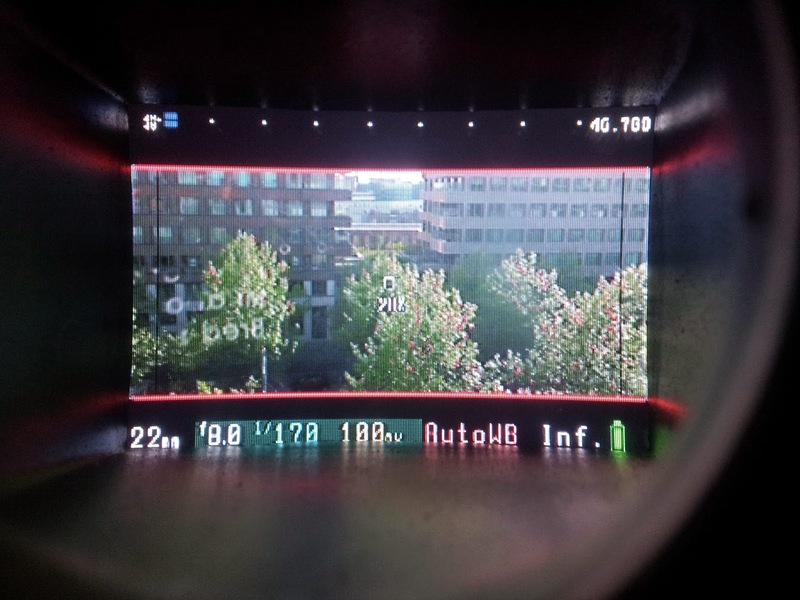 By adding the loupe onto the 3.5" monitor makes it into an EVF which actually helps with filming in bright locations as reflections on the screen could make it impossible to see what is on the screen. However I am using the expensive LCDVF but there are also cheaper ones that you can buy for $10 which is listed in the part list below. This image is the setup mounted on the rail, however I haven't mounted the handles on the rig itself. The monitor is actually powered by the Sony NP-F970 battery the same battery that can be used on allot of LED panels. So its a standardised battery so you only need to buy the same battery instead of having several different batteries in your bag. The other option of powering this monitor was using a 9v battery, however being much cheaper but its has less mAh than a large Sony NP-F970 battery and its quite annoying to use as rechargeable 9v which work less well compared to non-rechargeable ones, however 9v batteries are much smaller to hide inside the setup and possibly able to mount behind the monitor itself instead on the rig. I currently mounted the Battery Plate for the Sony NP-F970 like this so it floats over the shoulder pad and add a bit of weight on the back. However I used a part from an unused matte box, its called a rail block clamp however its often sold on its own for around 20 bucks and sometimes for less. 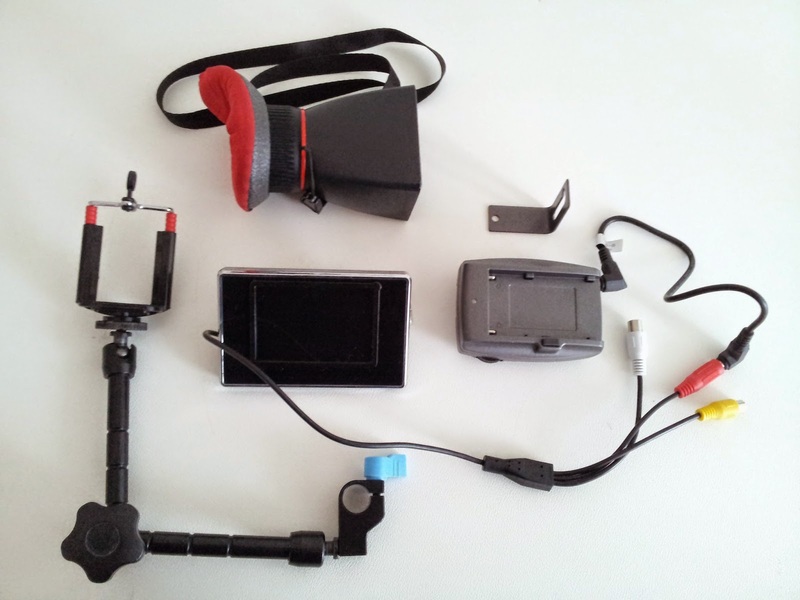 However there are cheap matte boxes sold for 15bucks which be cheaper to use the rail block clamp of those. But there is even a cheaper option by using small 15mm rail clamp with 1/4" which cost only 3 bucks, but you do need to buy another 1/4" screw to attach the plate onto it, but this setup would mount the whole thing sideways and different to how I have done in the image above. 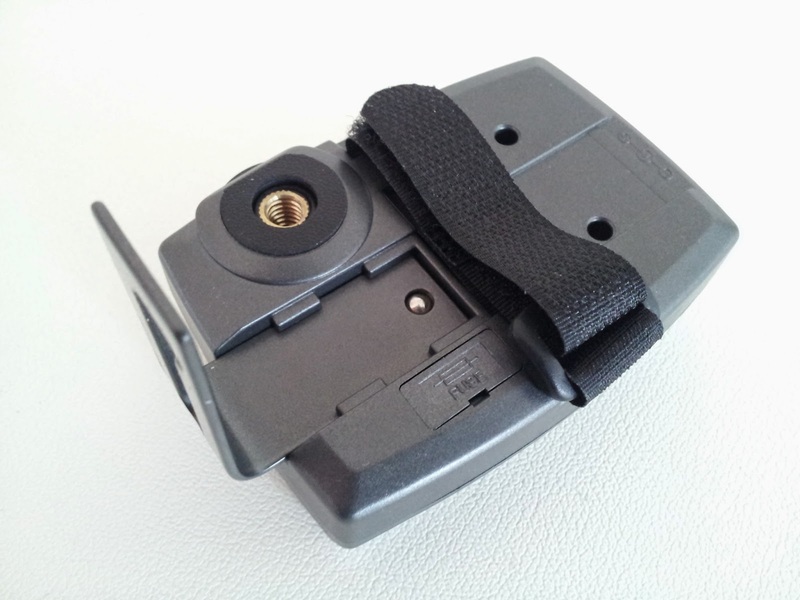 The great thing about this battery plate is that its not only very affordable being only 14bucks, but its has allot of mountain options on the back, even a velcro strap and a 1/4" hole to mount it on to standard 1/4" screws which is on most camera accessories. And the extra bracket is great for my setup. But also this mount has also lock up the battery nicely onto the plate, so the battery would never be able to accidentally fall out. However the whole setup has no on or off button and would need to take out the battery each time you want to turn off the setup, however its not really a big issue at all as its better to store your batteries separated from the plate. Having less risk of that the battery would get depleted even when you are not using it. To find all the parts check out all the links below which will lead you to the correct search result with the lowest price results on Ebay. $2 - Phone holder bracket to able to mount the monitor onto a magic arm or tripod. Optional to make the 3.5" monitor into a EVF. 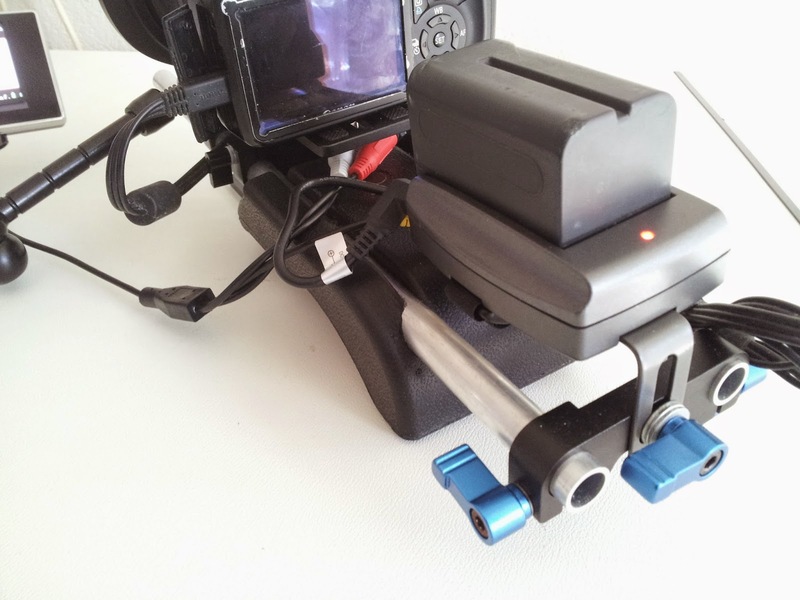 $14 -SONY F970 Battery Plate adapter to enable powering the monitor with standard Sony NP-F970 batteries. $2 - 9V Battery Holder Box its cheaper however its the batteries contain less mAh and its more of an annoying power source. $15 - Matte Box just for the rail block clamp to mount the battery plate.